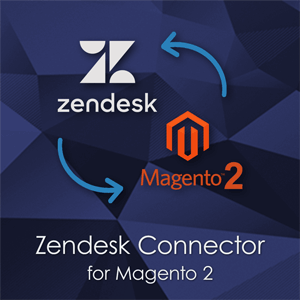 How to speed up Magento 2 store in just one simple step? It’s possible with the Performance Optimization Tool. Install the extension and enjoy the result! Slow sites are a pain point of each Magento merchant. They not only irritate your store visitors, but also impacts SERP position of your store. The slower the site is, the harder to compete with other websites in the search engine results. A great number of recent studies reveal that the conversion rate sharply drops inversely proportional to the increase in page speed load time. As a result, the website has less Internet traffic which also does not get converted into sales. Without any doubts, stores which are able to deliver their content faster without frictionless experiences will surely reap the benefits. 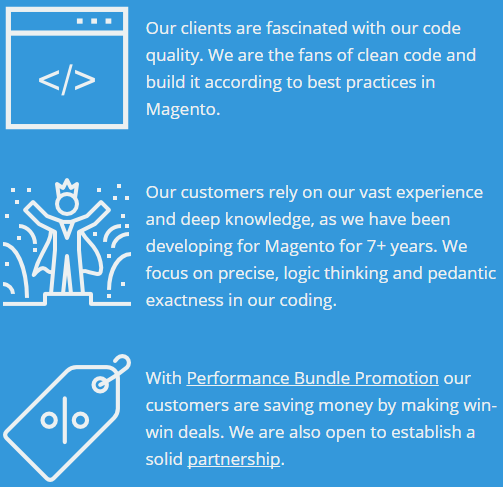 Even if you are using Full Page Cache or Varnish on your store, it's not enough to improve Magento 2 performance. Every split second helps win the battle with your store performance. 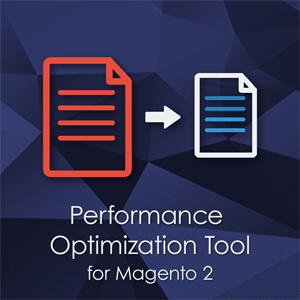 Performance Optimization Tool extension for Magento 2 will merge all the files which are used by a page and located on your server. Additionally, as a nice bonus, you will get loadable HTML files merged as well. Performance Optimization Tool extension for Magento 2 optimizes js files and therefore, speeds up your Magento 2 store. 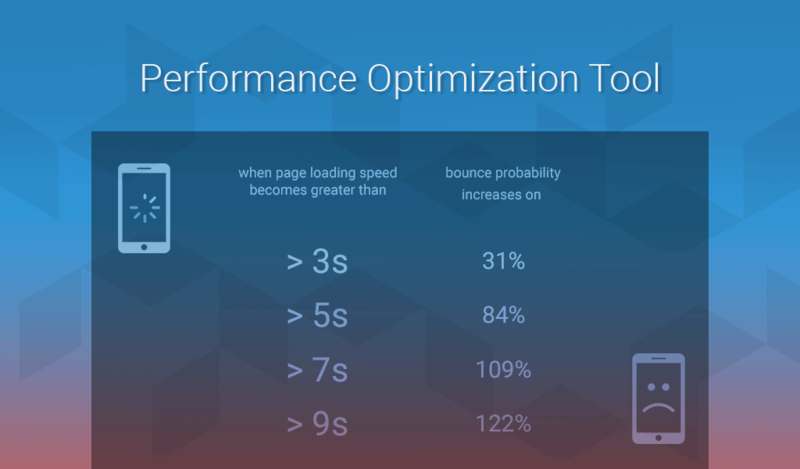 Google PageSpeed service recommends loading of JS files to be deferred till the end of a page rendering and generally, not all the scripts are needed to render a web page correctly. Thus, our Performance Optimization Tool for Magento 2 allows moving JS files to the end of the HTML body. In other words, it fixes render-blocking issue. 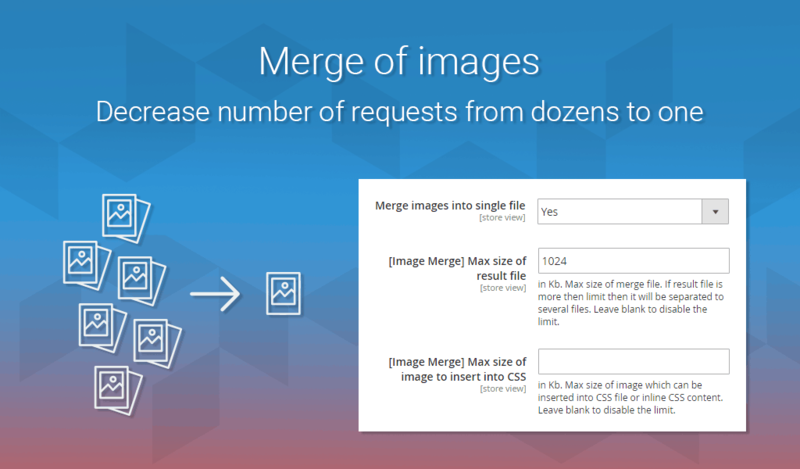 This is not a secret that merging of JS files will definitely reduce the number of requests to a server. Besides, these merged files can also be cached by a browser, which surely stops a browser from loading one file several times. 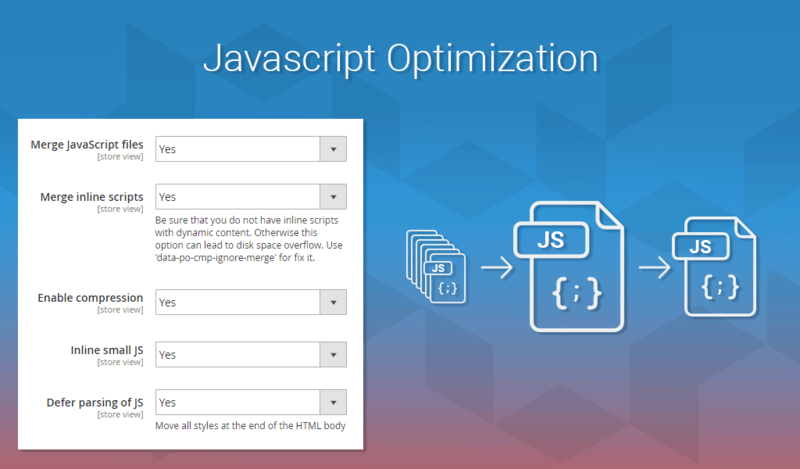 Performance Optimization Tool merges not only JS files, but also inline scripts. 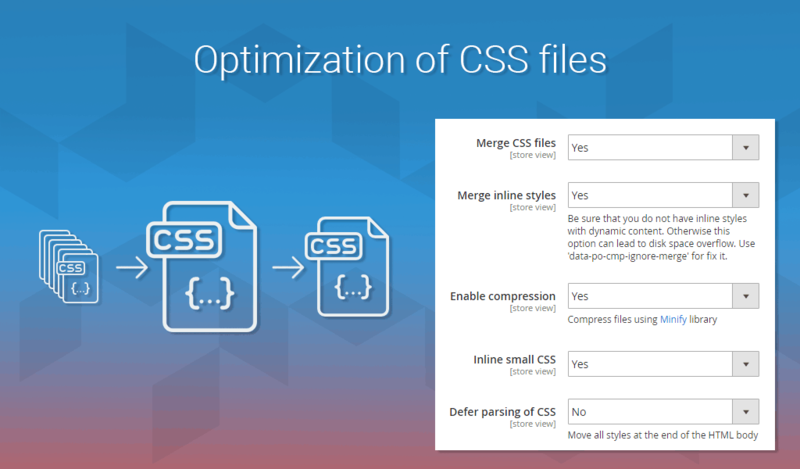 Besides JS files, Performance Optimization Tool for Magento 2 supports merging and minification functionality for stylesheets, inline small CSS and provides Defer parsing of CSS as well. However, we’d not recommend to use Defer parsing of CSS, as practice shows that it may affect user experience negatively. 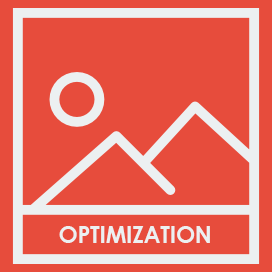 Our Performance Optimization Tool for M2 allows excluding necessary scripts and stylesheets from compression if needed. Some files, for example, like Google Analytics scripts may be processed improperly when merged or moved to the end of the page. More information can be found in the user guide. One of the most amazing features which will definitely attract your attention even more is merging of image files. 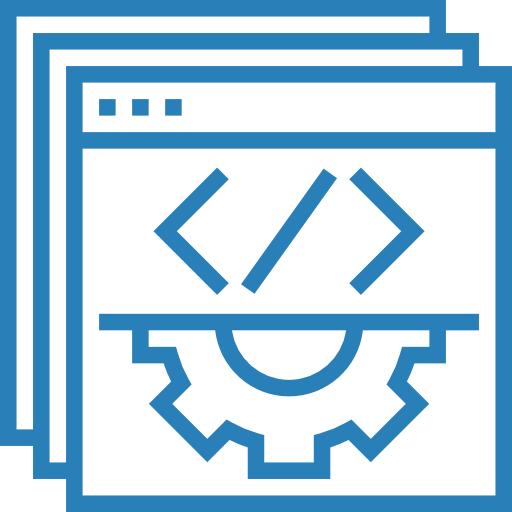 It uses only single request from a browser to a server to load all image files, which results in dramatically decreased number of all requests to a server. 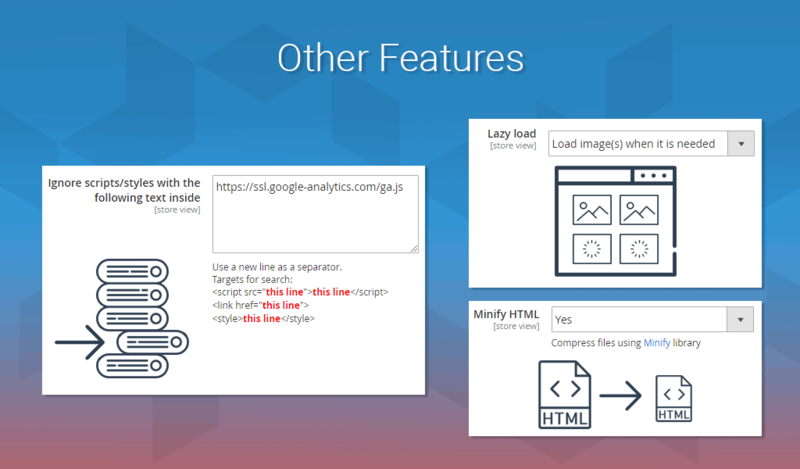 The Lazy Load technology provides the possibility to hold over image loading till a user scrolls to a certain image on a page. 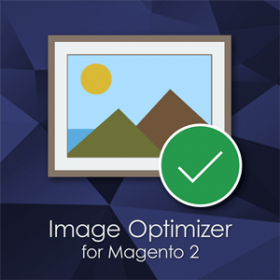 You know that it is impossible to images a store without images, and sometimes more than 50 % of the page content are images, that’s why Lazy Load works better for long webpages, for example, such as Magento 2 category pages. 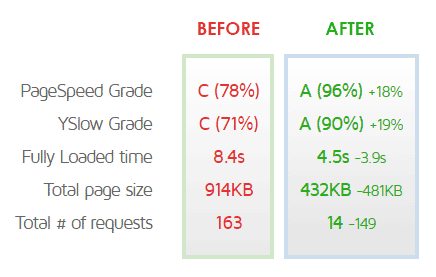 As you can see on the image, page load and size are almost halved, and the number of request get in 10 times lower. You may also be interested in our Image Optimizer M2 extension which significantly reduces the size of JPG, PNG and GIF image files. This extension is a trustworthy solution which can work in both automatic and manual mode and, besides, provides log files and backups. Moreover, we offer 15% discount for those customers who purchase both extensions in a bulk. The discount will be applied to the cart automatically. Customer satisfaction is decreased by this percentage value with each additional second of page load. 44% of users share their experience of using websites with friends. We are using this extension with LiteMage Cache. The website performance is great! This is a must investment for your store. The support team is there always for you. They answered all of our concerns and fixed all the issues that we had! This is the best support and extensions I have ever had ... The performance in GTMetrix has improved from 45% to 95% ... They have done their job very fast ... Really professionals ... I highly recommend Potatocommerce and all their extensions. Potato Commerce was extremely helpful throughout the entire process. 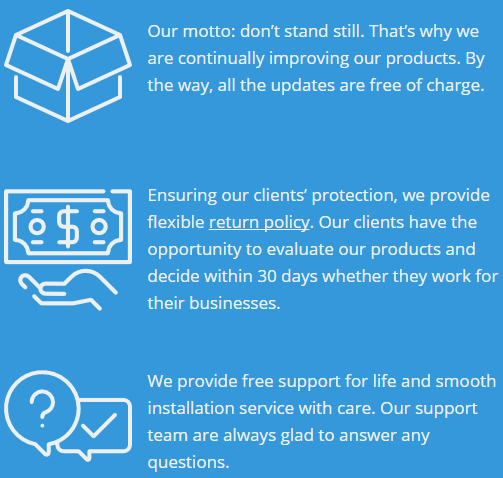 They answered questions prior to our purchase, installed our extension, and were quick to respond to any post inquiries about the performance extension. Thank you! Well, this compressor extnsion is awesome! My website works fast now, and google pagespeed is 96%. It is working out of the box, no issues found yet. Our store was fast and stable even during black friday and christmas sales when traffic was is very high. How do I exclude specific scripts or css files from being deferred, compressed and minified? data-po-cmp-ignore-move ignores only merge and defer (it does not allow to move the node). data-po-cmp-ignore-merge does not allow to merge files. data-po-cmp-ignore-minify does not allow to compress content. There is also a textarea added to the extension settings, which works the same was as data-po-cmp-ignore flag does - it does not allow to optimze nodes. Strings which are added to the textarea, are being searched within URLs of scripts/styles, or in content if the nodes are inline (<script>...</script>, <style>...</style>). How can I test my store performance? Can I check that your extension actually works? 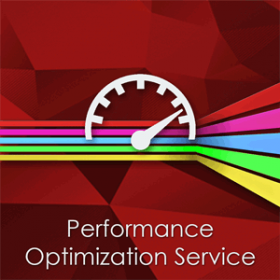 We recommend using GTMetrix service to test website performance. Should I disable native Magento CSS and JS merge at System > Configuration > Developer? Yes, we recommend to disable native CSS and JS merge. We don't expect any conflicts here, but native merge can slightly slow down the work of our extension. You can disable native merge of files at System > Configuration > Developer. I need to edit a CSS/JS file. Which file should I edit - original file or merged and compessed file? If you use our Full Page Cache extension, then you would need to flush cache of Full Page Cache extension as well.